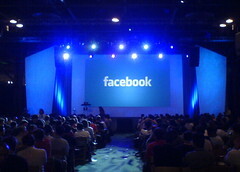 As f8 would have it, I was in San Francisco yesterday for Facebook’s platform launch and hackathon. What a day it was! The event itself quite a spectacle (they filled the SF Design Center with about 800 people, Mark gave a Jobs-esque keynote, and the hackathon was set up with tons of couches, tray-passed hors d’oeuvres, a DJ, and Facebook engineers a plenty to help out with the hacking). But the platform itself was the real star–Facebook really wants developers to be able to build apps that are as powerful and as integrated as the ones Facebook could build themselves, and the Platform really delivers on that audacious goal. You can host your app pages inside Facebook’s chrome, add items to news feeds, send notifications, and basically hook into all the places that Facebook’s existing apps do. But the most impressive thing to be about f8 is just how much Facebook “gets it”. They could have continued to be a walled garden–they were doing quite well at it!–but it’s clear from their words and their actions that they really believe they will be more successful by being an open platform and letting developers have real power to extend the experience and take advantage of the social graph they’ve built up. They’re pushing the limits of technology to enable deep integration, they’re providing prominence to third-party apps inside Facebook to help them spread, and they’re even letting the apps keep 100% of the ad money they generate. It’s of course quite defensive for Facebook inasmuch as it disincentivizes people from trying to build new social networks and gives them a multiplier on the features they can offer their users, but it still shows great vision and I couldn’t be happier or more impressed with what they’re doing!